Our culture doesn’t like ordinary. The word has taken on a negative connotation of plain or average. Our teachers want our kids to be extraordinary. Even our restaurants promote food that’s “remarkable” or “original.” But do you know who prefers ordinary? The IRS. In the first section of its Deducting Business Expenses page, the IRS introduces the two main standards business owners should consider when deciding if something can be deducted as a business expense: Is it ordinary, and is it necessary? Things get more complex after that, but in most cases, the more ordinary, the better. Whether it’s the supplies to build your product, the boxes to ship it or the postage to mail it, countless other necessary costs arise to produce and sell your products or services. If you’re a startup, the same IRS document states you can deduct some of the costs of market research and promotion. For any new business owner, all of this will eventually start making sense, and separating the office receipts from the home receipts will become, well, ordinary. In the meantime, it takes practice to get familiar with all the necessary do’s and don’ts of tax write-offs. The good news is nearly every startup has had similar types of deduction questions, so several strategies exist for those seeking guidance. Services like Intuit Mac accounting software is designed to help small businesses manage financial records and deductions. Take advantage of services like this from the start so you aren’t overwhelmed come tax time. Ask for official help. 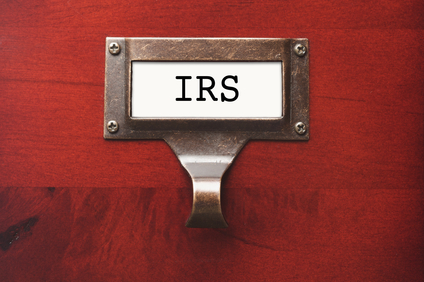 Part of the IRS’ mission is to educate citizens on the country’s oftentimes complex tax regulations, including what costs count as personal use and which pass the “ordinary and necessary” test. IRS print publications or online sources can provide answers, as can your state’s tax commission or your nearest Small Business Administration office. If you’ve lined up someone experienced to help with your bookkeeping, such as a CPA or an enrolled agent, you can often check with him or her prior to making a purchase. Home offices are OK. If you’re starting small, consider saving on overhead by operating out of your home before getting a storefront. Check with your municipality first about local zoning, since some communities may prohibit certain home businesses uses, such as heavy manufacturing in a neighborhood. To calculate how much of your work area can be deducted, Bankrate.com recommends measuring your planned space and dividing by your home’s square footage. This percentage is what can be deducted from the home’s expenses for this business, including insurance and electricity. Consider separate accounts. Your financial institution can help you put together solutions so your household costs don’t mingle with your business costs, such as separate checks. For example, corporate credit cards are a smart idea and will provide a clear record of transactions. Some cards even offer extra services for business owners, including points for airfare, gas, office equipment and other purchases. Lunches out. Picking up the tab for clients or prospective clients is a good practice and builds rapport. Ledgerlink, a service of Monster.com, said you can claim 50 percent of entertainment expenses, provided the discussion is active business or an expectation of receiving business in the future. This can take the form of meeting with a potential client, an employee lunch or a celebration after a contract is signed.